← NYCSHS 2015 Convention News. Private Car Added for Adirondack Scenic Train Tour!!! The shirt commemorates the Commodore Vanderbilt locomotive and the 45th anniversary of the NYCSHS, organized in March 1970. 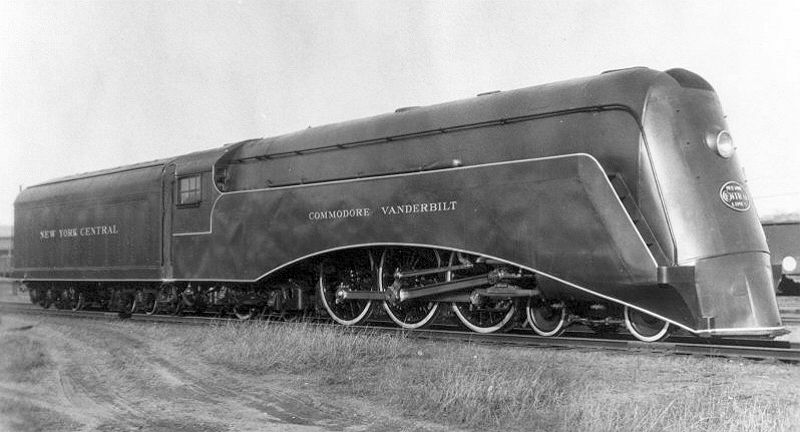 The New York Central was the first to fully streamline a steam locomotive in the United States, adding a shovel-nose shroud to a three-year old Hudson (4-6-4) locomotive and naming it the Commodore Vanderbilt. First made public in December, 1934, the locomotive entered revenue service pulling the railroad’s prestigious, but still heavyweight, 20th Century Limited in February, 1935. 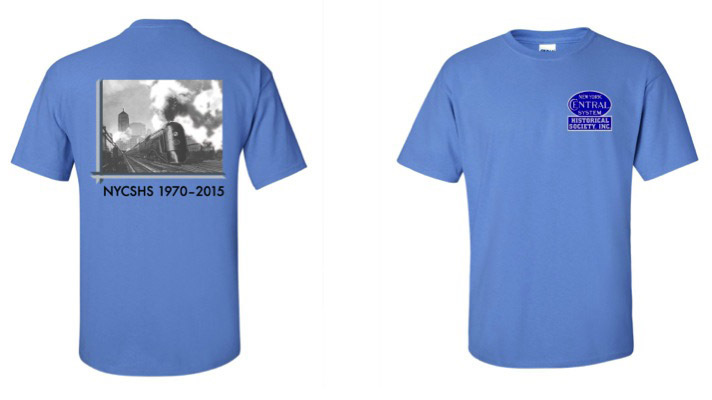 The shirt comes in a beautiful Carolina Blue with the Commodore Vanderbilt departing Chicago under steam on the back and the NYCSHS logo on the front. Price is $24.00 for non-members and $15.00 for NYCSHS members. Shipping extra. Ohio residents add 8% Ohio sales tax. Sizes S – XXXL. For sizes XXL & XXXL add $2.00.